Here’s some good news to brighten your day if you’re a Call of Duty: WWII player: Sledgehammer Games has posted a new community update, and it talks about the Supply Drops in the game, and how it’s going to change for the better. There’s going to be an increased number of weapons and premium content per update, lower duplicate rates, and the best one of all — no more new pistol grips are being added to the loot pool! Woohoo! I don’t know about you, but I didn’t feel rewarded whenever I obtained a new pistol grip. On the contrary, I felt like the game was goading me to hate it even more. 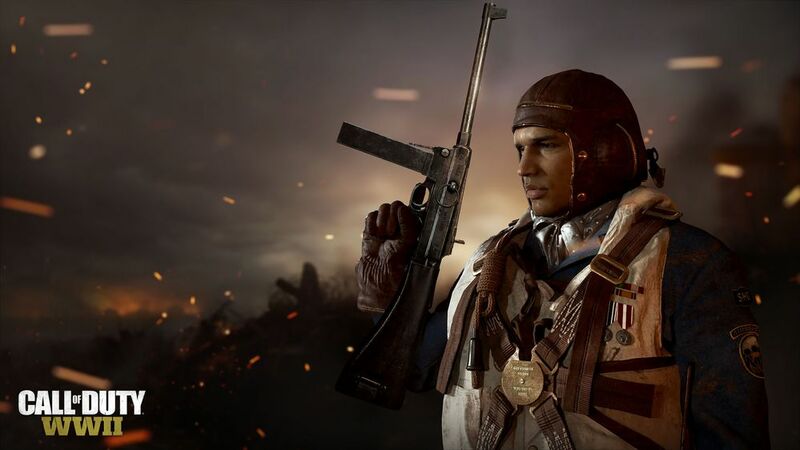 Increased Number of Weapons & Premium Content per Update – We’re adding new ranged weapons, more cosmetic weapon variants, and themed uniforms with a commitment to double-down on these categories moving forward so you’ll be able to get more of the content you want. More Ways to Earn Weapons – We are offering a variety of paths to obtain the most-wanted weapons and weapon variants in-game as more will be made available via Orders and Contracts, in addition to existing Weapon Collections and Supply Drops. Lowered Duplicate Rates – We are reducing the frequency of duplicates you’ll receive within Supply Drops to deliver more new content in every drop. Rebalanced Category Reward Rates – This will ensure you are getting a wider variety of content categories within every drop, which will make the unboxing experience more satisfying (we heard you on what it feels like to get triple duplicate pistol grips). New Special Orders – We heard your feedback on certain weapons being available only via Common Supply Drops and how hard they are to get. We are moving these into Special Orders so that they are easier to access. New Categories of Items – You will have more ways to customize your solider and loadout with the introduction of weapon charms, camos, and reticles. Content Changes – We are removing gold foil calling cards, and won’t be adding new pistol grips to the loot pool. Armory Drops – We are adding a new Supply Drop type “Armory Drops” which will function a lot like Bribes but can be obtained for Armory Credits to provide yet another way to get the content you’re after. In addition to the changes listed, there’s also going to be a new in-game event called Operation: Shamrock & Awe to commemorate St. Patrick’s Day! Once the patch is live later, we’ll be sure to let our readers know ASAP.